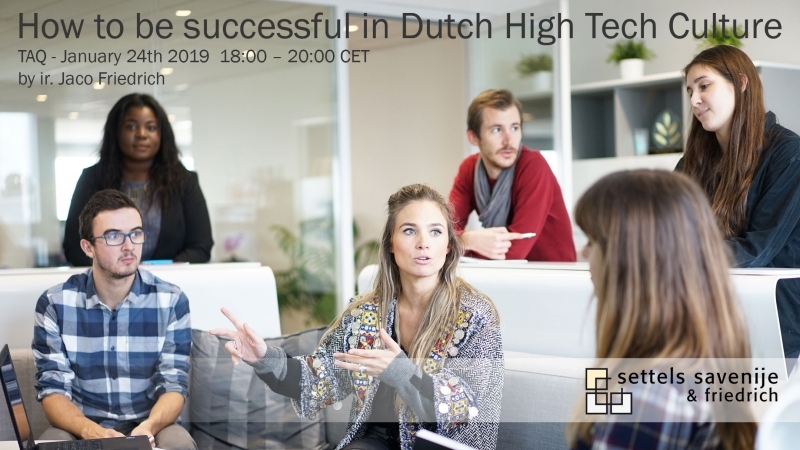 Free workshop/lecture "How to be successful in DUTCH High Tech Culture"
2018-12-04 ir. Jaco Friedrich will talk about the dos and don’ts of working in Dutch High Tech Culture. This free knowledge workshop/lecture is open to all who are working in Dutch High Tech, or are planning to do so. Hiring managers, R&D managers, Expats etc. After a very successful first workshop last Nov. 13th, we have a second workshop schedules on Jan. 24th 2019.